Many homeowners are aware that they should have smoke detectors installed throughout their homes, and the good news is that most homes (96% according to the United States Fire Administration) do have at least one smoke detector. Most homeowners, however, are not aware that there are different types of smoke detectors available – ionization and photoelectric – and that one type is much more sensitive than the other. Ionization smoke detectors sense the burned particles that comprise smoke using a small amount of radioactive material. These smoke detectors, according to the National Fire Protection Agency, make up around 90% of all smoke detectors installed in homes. The second, less popular type of smoke detector, detects smoke particles in the air using a beam of light. Photoelectric detectors typically cost around twice as much as their ionization counterparts, so it is no surprise why they are less popular. So, Which One Is the Best for a Home? Unfortunately, there is a huge disparity between the two types of detector’s efficiency and ability to detect smoke. In fact, photoelectric smoke detectors, though more expensive, are the much more effective choice; they can detect smoke up to 50 minutes faster than an ionization detector. Ionization detectors really only do a good job of detecting fast-burning fires, the type that happens around the kitchen stove with lots of fuel. They are slow to detect a slow-burning, smoldering fire – the common type of fire frequently caused in homes by cigarettes, fireplace embers and electrical wiring. By the time an ionization smoke detector sounds, carbon monoxide and smoke levels inside of a home will have already reached dangerous levels. Joseph Fleming, one of Boston’s deputy fire chiefs, estimates that since 1990 likely around 30,000 individuals in the United States have died in fires because of the sole use of ionization smoke detectors in their homes. To be sure your family and home are adequately equipped, photoelectric smoke detectors are by far the best choice. Fire safety experts recommend installing photoelectric alarms throughout your home, leaving ionization detectors only in the kitchen (if anywhere). Since many people have a difficult time remembering to replace batteries in alarms frequently, alarms should be hardwired, so that you do not have to rely on battery power to keep you safe. To ensure your home is equipped with the best smoke detectors, carbon monoxide detectors and alarm devices, we encourage you to schedule a residential security consultation with a home security expert at Arpel Security Systems. 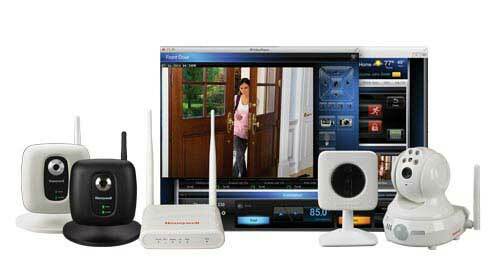 With a complete home security system installed, your home will be protected from fire, floods, dangerous gases and intruders whether you are inside or away. For more information, contact Arpel Security Systems today.